One Amazing Experience, 3 Convenient Locations! 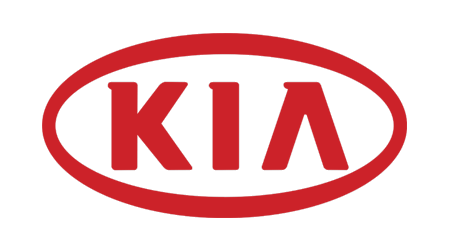 Orlando Kias is a new and used Kia dealership group. We offer three convenient locations in Orlando and Central Florida. Take advantage of our website to learn if Orlando Kia East, Orlando Kia West, or Orlando Kia North is closest to you. Our Kia sales associates are here to help you drive home a new Kia Sorento. After you pick out the color you like, our finance department will help you apply for an affordable car loan near Altamonte Springs and Winter Park. Ready to upgrade your daily drive? Shop our Kia Sportage crossover models for sale to give your versatility and convenience a boost. Maybe you want to spruce up your morning commute with a new Kia Rio sedan. Whether you need a new Kia compact or new Kia crossover, our local dealership group is here to help. Our dealership group is proud to offer lease deals on new Kia models in Orlando and Central Floridaorida. See us soon to drive home a new Kia Sedona minivan. Our local auto dealership group stocks a complete inventory of new Kia vehicles for sale. Make the quick trip over from Altamonte Springs and Winter Park to one of our three Kia dealerships to meet with a friendly sales associate. Our team can help you discover trim model options and warranty benefits. Enjoy our Orlando and Longwood roads in the driver's seat of an affordable used car. Our stock is marked at competitive prices. Before any pre-owned vehicle is listed for sale at our used car lot, it endures a thorough, multi-point inspection for reliability, safety, and performance. The Orlando Kias dealership group is proud to offer an exciting array of reliable used cars for sale. When it comes time to make your purchase, be sure to appraise your trade-in value at any of our dealerships. Enjoy Kia lease deals and driver-friendly financing rates at the Orlando Kias dealership group. If you would like to finance your new or used Kia Sorento, talk to our finance department about the lease rates available to your credit score. Our three Kia dealerships want to assist drivers of all credit ratings. Talk to us about your auto loan needs, especially if you would like to apply for alternative credit options. Apply for your next auto loan and discover if you are pre-approved for your next auto loan when you complete our online credit application. If you are searching for quick and affordable auto repair, we offer a Kia service department at three convenient locations. Our certified auto mechanics will tackle all your auto repair needs with professional attention. When your new Kia Niro is due for its first oil change or needs a quick brake inspection, don't miss our money-saving service discounts. Schedule your service appointment at the Orlando Kia location nearest you. Our team only installs genuine Kia parts and factory-approved components when servicing your new Kia Soul. If you like to perform your auto maintenance, order your Kia parts online. Our auto group employs a skilled team of finance associates at each of our convenient locations. We want drivers to be approved for new Kia financing in the Orlando and Central Floridaorida areas. Our Kia auto group specializes in new and used car financing near Altamonte Springs and Winter Park. Find the new Kia lease deal you're hoping for at our Florida auto group. Orlando Kias invites our Altamonte Springs and Winter Park neighbors to our new and used dealership group. For a family-friendly atmosphere, come to any of our three Kia dealerships serving the Orlando, Florida area.